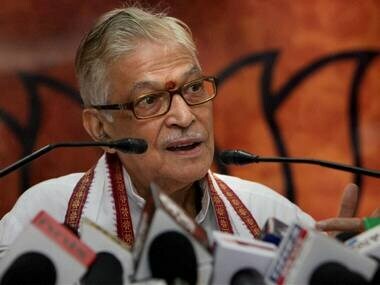 Bharatiya Janata Party veterans Lal Krishna Advani and Murli Manohar Joshi have been kept out of the poll fray by the party as neither of them have made it to the BJP's list of 40 leaders who will be campaigning for the party's candidates during the first two phases of Lok Sabha elections in Uttar Pradesh. The two senior leaders have not been included in any candidates' list so far. Prime Minister Narendra Modi, BJP president Amit Shah and senior ministers, including, Rajnath Singh, Nitin Gadkari, Arun Jaitley, Sushma Swaraj, Uma Bharti, Nirmala Sitharaman, and Yogi Adityanath are all part of the list of star campaigners. On Tuesday, Joshi said he has been asked by BJP general secretary Ramlal not to contest the election. Other veterans like Shanta Kumar, BC Khanduri and Kalraj Mishra have also not received tickets. The party announced 39 more candidates for Uttar Pradesh and West Bengal on Tuesday. Union minister Maneka Gandhi and her son Varun Gandhi's seats have been swapped. Varun will now contest from Uttar Pradesh's Pilibhit seat while Maneka will be fielded from Sultanpur. Cabinet minister in Yogi Adityanath-led Uttar Pradesh government Rita Bahuguna Joshi, who also is former Congress leader, will contest from Prayagraj. 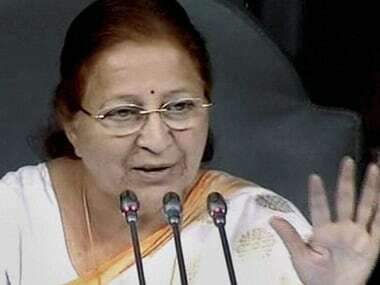 Former Samajwadi Party leader Jaya Prada, who joined the BJP on Tuesday will contest from Rampur. In a late night dramatic development, two MLAs from the Maharashtrawadi Gomantak Party (MGP) merged their party's legislative wing with the BJP, said Goa chief minister Pramod Sawant. The support of the MGP was crucial for the stability of BJP-led dispensation in Goa. 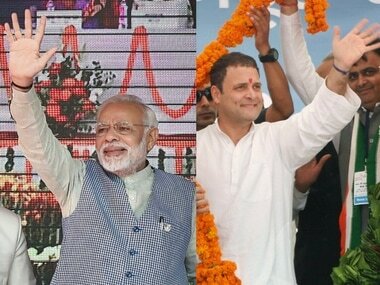 The merging of the two-member legislative unit with the BJP brings the saffron party at par with the Congress, with both parties having 14 seats each. The MGP is an alliance partner of the BJP in Goa since 2012. "Two MGP MLAs Manohar Ajgaonkar and Deepak Pauskar have joined BJP for the stability of the government. Automatically, our strength has grown to 14," chief minister Pramod Sawant told ANI. 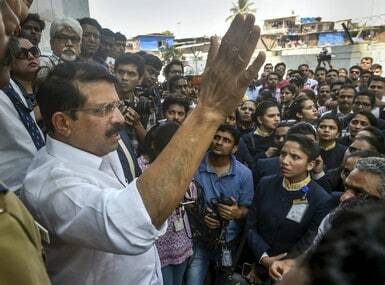 Sawant had won the floor test in the state Assembly after 20 MLAs including 11 from BJP and three each from MGP, Goa Forward Party and Independents voted in his favour. All passengers, except for a woman and a child, disembarked safely and had to undergo screening. The woman and the child were held back for questioning by the police, who are investigating the incident. Four suspected Maoists, two of them women, were killed in a joint encounter by the CoBRA battalion of the CRPF and Chhattisgarh police in Sukma on Tuesday. One INSAS rifle, two .303 rifles and one .315 rifle were recovered from the encounter site. Police said that they had prior information regarding the movement of Maoists in the area, after which two police parties were deployed to look for them. According to police, the Maoists, who were hiding, opened fire on one of the police parties, which was then forced to retaliate. Pakistan's Former Prime Minister Nawaz Sharif was released from jail on Wednesday after Supreme Court granted him six weeks' bail to receive medical treatment without "leaving the country". According to Dawn, Nawaz Sharif, who was sentenced to seven years in prison by an accountability court in Al-Azizia reference case last year, left Lahore's Kot Lakhpat Jail around 12:30 pm. The three-judge bench led by Pakistan's Chief Justice Asif Saeed Khosa announced the judgement in the former's prime minister's favour. While reading out the order, Khosa said that Nawaz Sharif will have to surrender himself to the jail authorities after termination of his bail period. A Democrat-led congressional committee has challenged the Pentagon's plan to divert $1 billion to support President Donald Trump's plan to build a wall on the US-Mexico border. This is the newest challenge to Trump's 15 February declaration of a "national emergency" at the border in order to obtain more than $5 billion to build a frontier wall to keep out illegal immigrants and drug smugglers, after Congress denied him the funds. 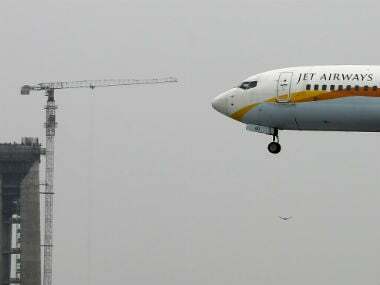 Jet Airways has informed the government that it has 35 aircraft in operation currently and it has set an "ambitious" target of flying additional 40 aircraft by the end of April, Civil Aviation Secretary PS Kharola said on Tuesday. R Ashwin will be in focus after the 'Mankading' event as Kings XI Punjab take on Kolkata Knight Riders at the Eden Gardens in IPL. KKR won their first match against SRH by six wickets, while KXIP defeated Rajasthan Royals by 14 runs in their inaugural match which was in the news after Ashwin "Mankaded" Jos Buttler. The dismissal led to a batting collapse as RR lost at Jaipur for first time against KXIP. Google has announced the general availability of "dynamic email", also known as "AMP for Email", a feature that lets senders create interactive content inside their messages. Google announced this initiative more than a year back and it took them a while to have the feature ready for launch. Avengers: Endgame, with its three hours and two minutes of runtime, is expected to break its predecessor's record as the longest Marvel film, which clocked in 149 minutes. The news about the film's length was broken by theatre websites AMC and Fandango. "Three hours, 2 minutes. #AvengersEndgame," tweeted Fandango on Monday.